A raisin is a dried grape commonly known as Kishmish in India, and are great for cereal, cooking, or simply snacking. They are rich in minerals, vitamins and other micronutrients. Buy dried grape online at whole sale price from KiranaPlace, a dry fruit shopping store in India. A raisin(kishmish) is a dried grape. Raisins are produced in many regions of the world and may be eaten raw or used in cooking, baking, and brewing. 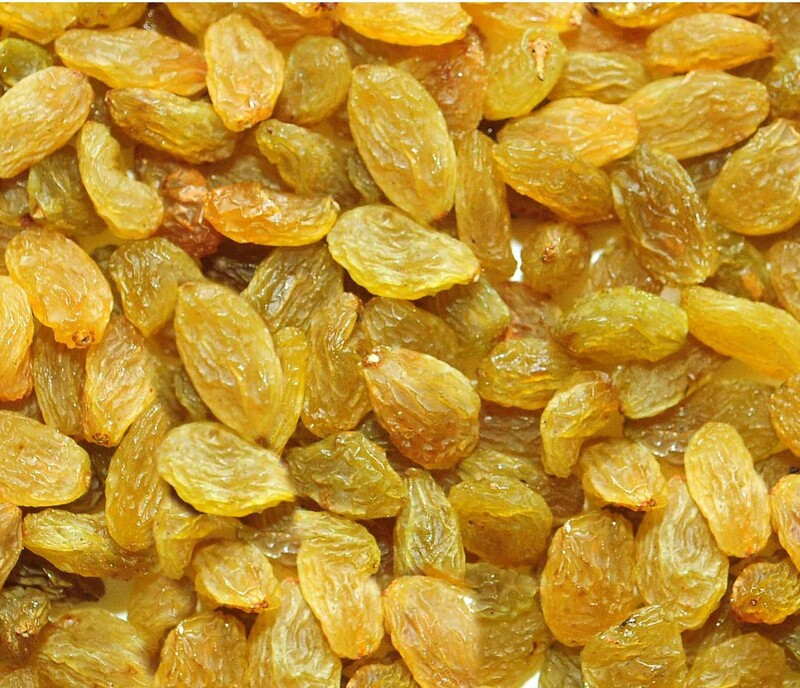 "Golden raisins" are treated with sulfur dioxide after drying to give them their golden color. It can contain up to 72% sugars by weight, most of which is fructose and glucose. Raisins(kishmish) is a rich source of iron, magnesium, vitamins and fiber. They are an extremely delicious and widely popular variety of dry fruits. They are widely used in cultural cooking in desserts, cookies, pies, puddings as well as savoury dishes. Dry grapes help in digestion. Dry grapes help to reduce acidity. Dry grapes help to treat anaemia. Dry grape helps in the production of red blood cells. Dry grapes help to treat infections. Dry grape help to reduce sexual weakness. Dry grape help in keeping your eyesight strong.